Click on an image to enlarge it, click on the X in the top right corner to return. 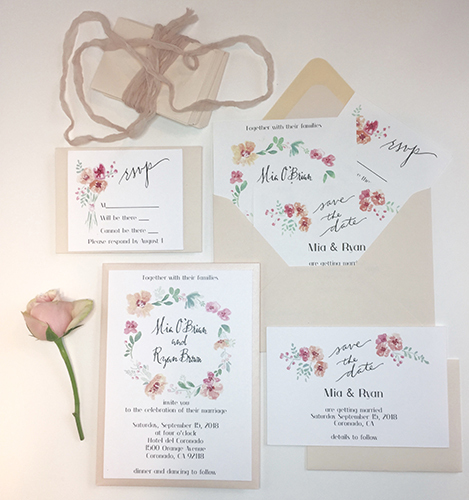 Invitation is customized with your names or initials handwritten in a calligraphic style combined with a digital font for all remaining details. Interested in a custom design? Contact me for more info!